"Stayed here for 2 nights to explore Pompeii and Naples, is w..."
Have a question for Hotel Casanova? "Great place if you want to explore Naples and its surroundings." "For this price it was very good, rooms were clean, the ac working." "Personel was helpful and nice, almost everybody talks in English." "It was clean, staff was nice and helpful." Nestled in the heart of Stazione Centrale, Hotel Casanova is an ideal spot from which to discover Naples. Situated only from the city center, guests are well located to enjoy the town's attractions and activities. With its convenient location, the hotel offers easy access to the city's must-see destinations. 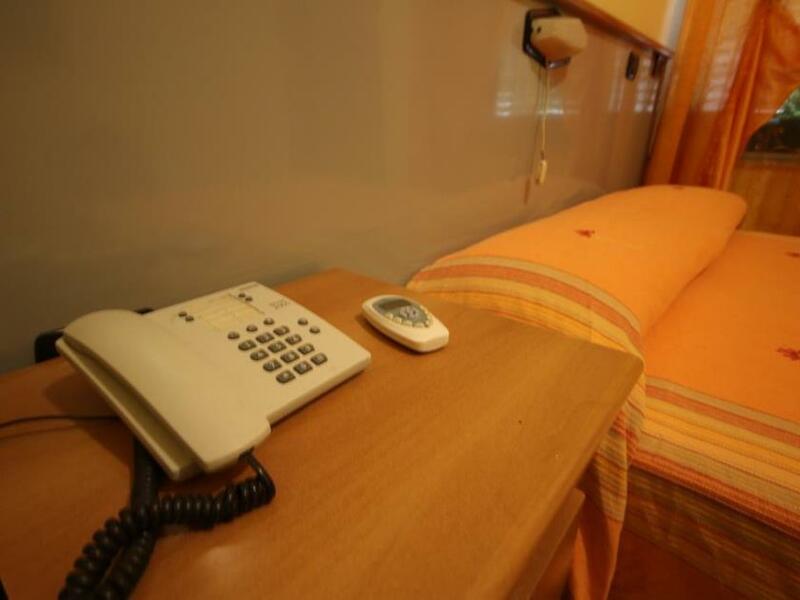 The facilities and services provided by Hotel Casanova ensure a pleasant stay for guests. While lodging at this wonderful property, guests can enjoy 24-hour front desk, luggage storage, Wi-Fi in public areas, car park, bar. The ambiance of Hotel Casanova is reflected in every guestroom. television LCD/plasma screen, air conditioning, heating, desk, telephone are just some of the facilities that can be found throughout the property. Besides, the hotel's host of recreational offerings ensures you have plenty to do during your stay. Hotel Casanova is a smart choice for travelers to Naples, offering a relaxed and hassle-free stay every time. "It is a very comfortable place to reach famous places of Nap..."
Good: location, nice staff, delicious breakfast. Bad: the bathroom has smoke smell, no matter how I close the window or door. I just sleep and go out all the time so I am OK for it. Stayed here for 2 nights to explore Pompeii and Naples, is was decent enough and close to the Train Station. The area feels a little bit hostile at night, but we didn't have any problems and the room was fine. Breakfast was a nice bonus at this price range, overall we'd probably stay here again. For this price it was very good, rooms were clean, the ac working. Breakfast consisted mostly of sweet croisants and great coffee. Personel was helpful and nice, almost everybody talks in English. Great place if you want to explore Naples and its surroundings. location is very convenient from Napoli centrale. All other major places you can go by public transport. Hotel room was a bit small but clean. Toilet was clean and well maintained. Host was very helpful and arranged delicious breakfast early morning as we have to catch a train to Milan. This place was a great bargain but I would spend a bit more for better if possible. The bed was very uncomfortable. The shower was just a trickle of water. The toilet was clogged. Clean but dingy. I would not return. The area around the station is a bit edgy and may not be for all travelers. The location of the hotel is ideal if you are going to Pompeii. The included breakfast is great! Room itself was fine, bathroom a very generous size however, there is noise all the time. You can hear the reception desk door bell, people talking in the hallway during the night, people using the communal toilet and breakfast being set up at 6:30am every morning, people dragging chairs on the stone floor. It is so loud all the time. The hotels facilities and staff were great, but a complete lack of sleep for 2 nights was not worth the low price. It is a very comfortable place to reach famous places of Naples and Naple Central Station, nice and helpful staff. It's only a short walk from the station and this part of Naples is not very attractive. Be careful when you leave the station as there are many pick pockets. I had one come after me but he didn't get anything. This area does not look too good but the hotel itself is fine. Breakfast is simple but adequate. The room was warm and comfortable. Very close to the train station and easy to access it. However, the neighborhood was bad. It was clean, staff was nice and helpful. The hotel staff was by far the friendliest of all the hotels we booked in Italy. Location is a bit intimidating though since it's very near Napoli Centrale. The surrounding area seemed quite worrying in the evening. Nevertheless the price, delicious breakfasts and proximity to the city centre makes this hotel quite a good bet. Easy walking distance from main rail station. Staff were excellent and assisted when ever requested or needed. A budget hotel that is excellent value for money for a quick stopover in Naples or used as a base for Capri & Pompeii, which we did. Came here with my friend, stayed for a week. Good location close to the station and the old town. Breakfast was a bit disappointing (not much variety) and the walls were very thin. However the staff in the reception were really nice and always helpful! Good value for the price! The worst hotel I have ever been. Cold water. I dont recommend. Some of the reviews have described the area around the hotel negatively. However, it is fairly typical of the area around stations in most cities. It is certainly no worse than London or Leeds and actually we felt safer there. Maybe the people who wrote the reviews never use public transport or walk around poorer areas? I'm sure pickpockets exist but we never came across any. It is very close to the centre - 20 minutes walk. However, although it says it has a 24 hour reception, one of the staff seemed unhappy with us when we got back late after seeing friends. Also the cleaner who also makes the breakfast talks very fast (in Italian) and seems to get annoyed if you don't understand. This mainly consists of coffee, croissant, cereals and juice. One thing I did miss was being able to get a coffee at other times of the day, but the staff will order one for you from a local cafe if you ask. Overall, it was reasonable for the price and I would use it again. One thing to mention is that you have to pay 3 Euros a night at the end of your stay but this is a government tax so I imagine it is the same everywhere. 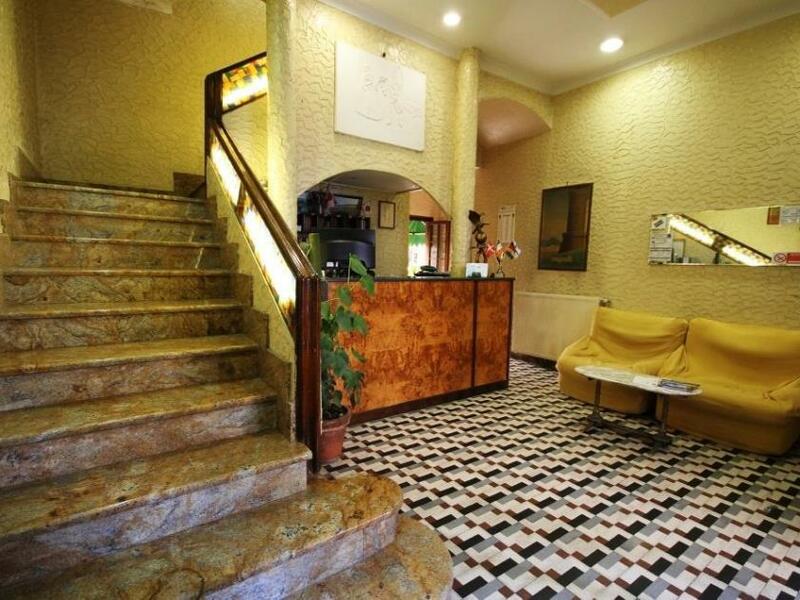 It is a 10 minutes walking distance from the Napoli centrale station. I just stay an overnight in this hotel and departing to Capri on the second day. There is a direct tram no.1 to the Napoli pier every 15 minutes. The staff is very nice, i told the receptionist i will be checking out very early in the next day and they agree to prepare the breakfast for me before 7am, so i would not skip my breakfast before departing to Capri. I will come back again to this hotel and it is very value for money.